“You (states) cannot be allowed to be happy taking dates after dates... This is not a panchayat” : SC. An angry Supreme Court today warned it will summon secretaries of several states to appear in person with files if the states concerned did not file status reports within four weeks pertaining to installation of speed governors in public transport vehicles. “You (states) cannot be allowed to be happy taking dates after dates... This is not a panchayat, proceedings in the Supreme Court cannot be taken lightly, a bench comprising Chief Justice J S Khehar and Justice D Y Chandrachud while hearing a PIL seeking installation of speed governors on public transport vehicles. States like Andhra Pradesh, Assam, Nagaland, Sikkim, Tamil Nadu, Delhi, Tripura, Bihar, Rajasthan, Madhya Pradesh have not filed their replies. Tripura, Bihar, Rajasthan, Madhya Pradesh have not filed their replies. The bench was hearing the PIL filed by NGO Suraksha Foundation on the issue of installation of speed governors in public transport vehicles. According to the Central Motor Vehicles Rules, 1989, the transport vehicles will be fitted with speed governors (speed controlling device) in such manner that those can be sealed with official seal in a way that the seal cannot be removed or tampered with without being broken. It also says that the speed governor of every transport vehicle shall be so set that the vehicle cannot be driven at a speed in excess of the maximum pre-set speed of the vehicle. Challenging the notification exempting the vehicles, the petitioner NGO has said that these exempted vehicles were responsible for a large number of road accidents. The cause title is directed to be amended. In addition to respondent no.15, namely, the State of Andhra Pradesh, the cause title shall incorporate respondent no.15A as the State of Telangana. The Registry of this Court, shall carry out the necessary correction. 3 A perusal of the office report reveals, that respondent nos.5,6,8,9,10,12 and 15 to 21 have not yet filed their counter affidavits. Learned counsel for the afore-stated respondents seek four weeks' time, so as to enable them to file their respective counter affidavit. Prayer is allowed. Counter affidavit be positively filed within four weeks from today. The newly added respondent – the State of Telangana shall also file its counter affidavit, within the aforesaid time. 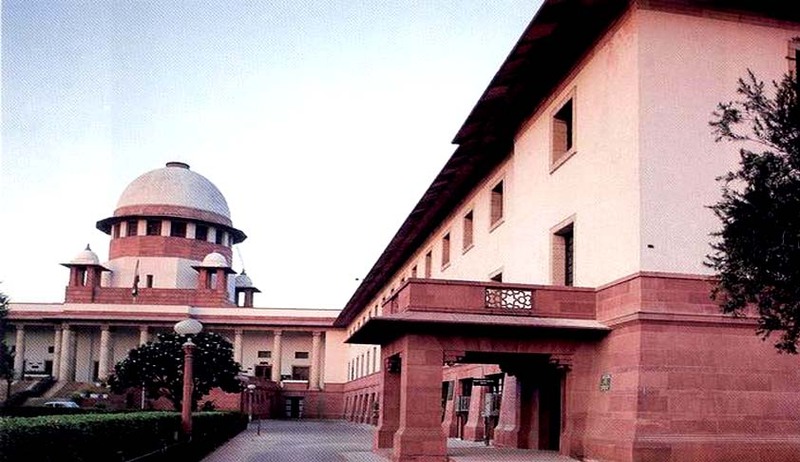 In case, any of the respondents – States fails to file counter affidavit, within four weeks from today, the Secretary (Environment) of the said State, shall remain present in Court, along with the relevant record, to assist this Court, in the final disposal of the controversy, on the next date of hearing. Post for further consideration on 20.02.2017.